What would it look like if Earth had rings like Saturn? Funnily enough, our planet DID once have rings. According to current theories, millions of years ago a planet-sized body called Theia collided with Earth. A huge amount of material from Earth was blown up into orbit by the impact, where it formed a ring. Because this material was orbiting outside of earth's Roche limit, it eventually coalesced into the Moon. 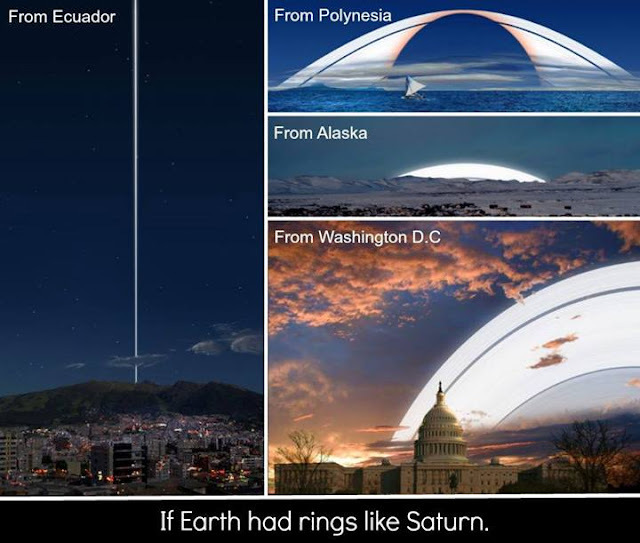 These illustrations by Ron Miller show what our skies would look like if we had rings that were the same proportional size and position as Saturn's.